Unfortunately, I got a couple months behind in my toy recall updates. I tried to write-ups for all the posts I missed to catch up, but that was about a month ago and I haven’t done any since. At this point, I can only catch up if I just do a quick listing of all toys recalled each month for the first few months of the year until I am caught up. So here are the toys that I hadn’t posted yet recalled in January 2009 for those who didn’t know about them. 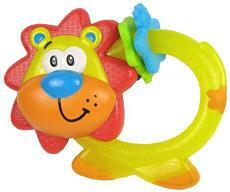 Approximately 131,000 rattle units were recalled on January 15th and 20,000 were previously recalled in March of 2008. They presented a choking hazard to children because the tail on the rattles could come off. They were manufactured in China and they were sold at Wal-Mart and Babies R Us between May 2007 and September 2008 for 3 or 4 dollars. Here’s one of the more rare recall reasons, explosion and projectile hazard. Several different spa and aromatherapy kits, around 516,000 units total, have an issue with with containers for bath balls and bath fizzies. The lids on the containers don’t have holes in the top so carbon dioxide pressure can build up and pop the tops off. The lids can become projectiles when enough pressure builds up and chemicals used can irritate eyes with splashing with some reports of injuries. These kits were sold at Wal-Mart, Target and Sam’s Club among other toy stores between August 2008 and January 2009 with the cost of the various kits ranging from 13 to 50 dollars and they were made in China. People who purchased the kits can trade their caps without vent holes for new caps with vent holes. This prevents the pressure build up. If that’s all you can do, I would just drill vent holes on the caps that don’t have them already. 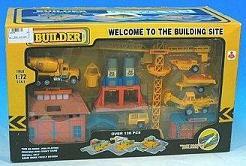 It’s back to the original problem with this toy construction site, excessive lead hazard with 3,000 units being recalled. They were sold during the last few months of 2008 for about 20 dollars. 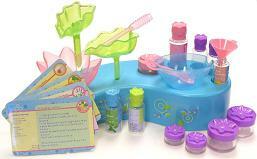 These sets were made in China and sold at hardware and farm stores all over the nation. No injuries were reported and customers should take the sets away from their kids and return it for a refund.